In a development that will revolutionize the region’s connected home entertainment industry, Techstorm, a UAE-based new media technology company, has partnered with Silicon Valley-based Verismo Networks and their award-winning Internet TV Platform to launch the VuMax service and bring HD quality entertainment directly to TV sets through broadband Internet. At the time of launch, the VuMax offering includes pay TV content services from YuppTV, Global Take Off New York, and Big Flix, a Bollywood movie on-demand service offered by India’s Reliance Group. Arabic content such as movies, TV dramas and Live TV will be made available soon. 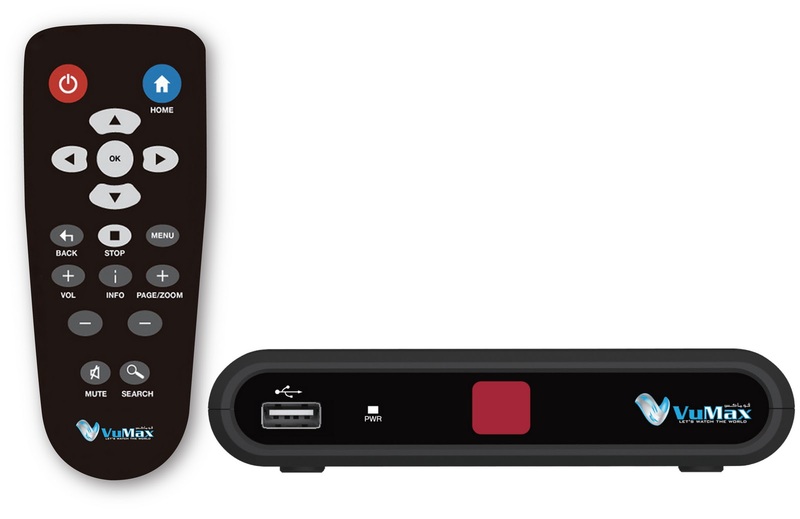 VuMax PoD is available at major electronics retail outlets across the UAE and MENA region. Techstorm Middle East is a UAE-based technology company dealing in New media technology. We create custom solutions for broadband internet, specifically in the field of video and audio services. We deploy complete broadband solutions from assessment to launch, customize and manage a VOD service, Live TV channel streaming and subscription based pay TV models. We cater to Middle East and North Africa region, and have distribution partnership with firms in Asia Pacific, South Africa, North America, UK & Europe. Verismo’s mission is to redefine the home television entertainment experience. Our open internet TV platform is the only platform that brings seamless convergence of IPTV linear channels, internet video, social networking and personal media playback directly to the TV. The Verismo end-to-end solution enables OEMs to expand their reach globally and cost effectively while giving subscribers an unparalleled viewing experience. For more information visit www.verismonetworks.com.